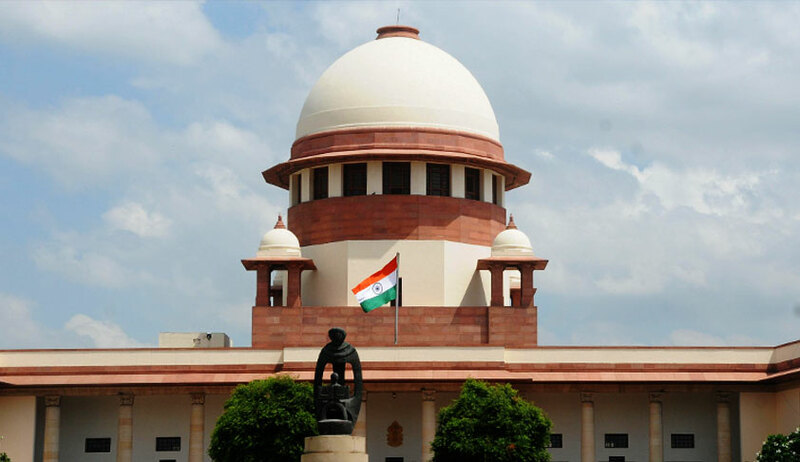 The Supreme Court was recently moved in a plea for direction to the Central Government to treat as an electoral offence the making of false statement/declaration before the Election Commission, Chief Electoral Officer, District Election Officer, Presiding Officer or other similar authorities. The public interest litigation, instituted by an advocate and BJP leader Ashwini Kumar Upadhyay, draws attention to the lack of any follow-up provision in Section 125A of the RPA, 1951, which provides that furnishing false information in the affidavit filed by the candidate is an offence punishable by imprisonment upto six months or with fine. “Section 31 of the Representation of the People Act (RPA), 1950, makes a person who, in connection with the preparation, revision or correction of an electoral roll or the inclusion or exclusion of an electoral roll, gives a statement or declaration in writing which is false, punishable with imprisonment extending to one year or fine or both. But there is no parallel provision in the RPA, 1951, to penalize a person making false declaration in connection with conduct of elections,” averred the petition. Upadhyay objected to Section 125A of the Act of 1951 prescribing imprisonment of only six months or even fine in the alternative, in the event a candidate furnishes a false affidavit, in the shape of Form 26 appended to the Conduct of Elections Rules, 1961, containing information regarding their criminal antecedents, if any, their assets, liabilities, and educational qualification. He prayed that the Government of India be directed to take apposite steps to increase the punishment for filing a false affidavit to two years’ imprisonment, and to declare it as a ‘corrupt practice’ and disqualify such person from contesting elections, as recommended by the Law Commission of India in its 244th Report. In the alternative, he sought that the words “or with fine, or with both” occurring in Sections 125 and 125-A of the RPA, 1951, be declared “arbitrary, irrational and contrary to Articles 14, 19 and 324 of the Constitution of India, hence void and inoperative”. Reliance has been placed on Krishnamoorthy v. Siva Kumar [(2009) 3 SCC 446], wherein the court held that failure to disclose complete information may amount to undue influence and that incorrect or false information interferes with the free exercise of the electoral right of the voter. The petitioner argued that the grounds for rejection of nomination papers under Section 36 of the RPA, 1951, should include the case of a candidate who fails to submit the affidavit under its Section 33A. In his petition, Upadhyay indicated numerous electoral reforms recommended by the ECI, including, inter alia, that even candidates against whom charges have been framed six months prior to an election, in respect of offences punishable with imprisonment of 5 years, may be disqualified from contesting the election, and that the law may be amended to provide for filing of election petition even against defeated candidates on the ground of ‘Corrupt Practice’.